Gel Mediums offer many ways to build texture. Golden offer five consistencies from our most viscous High Solid Gel to our Soft Gel. Each gel is available in Gloss, Semi-Gloss and Matte finishes. They are used to create glazes, extend paint and change finishes. Gels are essentially colourless paint, as they utilize the same 100% acrylic polymers as acrylic paint. Gels are also excellent adhesives for collage and mixed media, they dry with excellent flexibility with chemical, water and UV resistance. Pastes can be used to achieve a variety of effects and expressions. 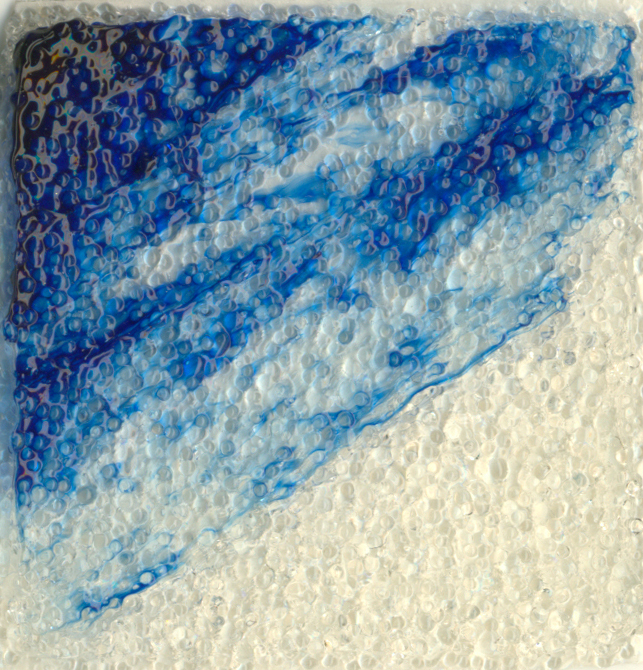 When used in conjunction with acrylic colors they broaden working properties and expand creative possibilities. Unlike gels, pastes are opaque because they contain Marble Dust or other fillers that create a white or clay-tone finish with a variety of textures and properties. Molding Paste can also be used to create foundations for painting either to create texture over a smoother surface, or to smooth out a textured surface. The absorbent qualities of Molding Paste make it suitable as a ground for nearly every painting and drawing media. Molding Pastes are water-based products formulated with 100% acrylic polymer emulsions, which give great flexibility and durability. Drying times greatly depend upon film thickness. They dry to an opaque, semi-gloss film to which subsequent layers of acrylic paint and mediums can be applied. All Molding Pastes can be easily tinted with GOLDEN Heavy Body, Matte, High Load and Fluid Acrylic Paints. All GOLDEN Molding Pastes clean up with soap and water. Do not let products dry on tools. Keep tools wet while in use. Soak tools in soapy water to remove dried films. 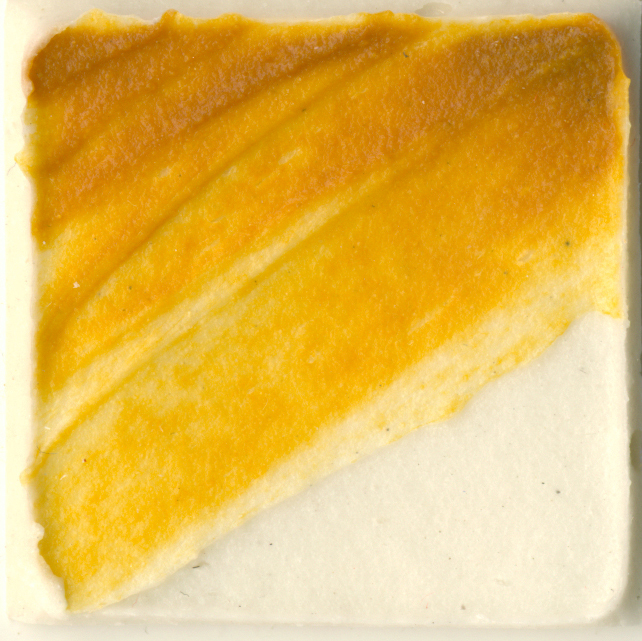 Click here to see how to create a smooth surface using molding paste. Available in this range are granular, glass bead and pumice gels. 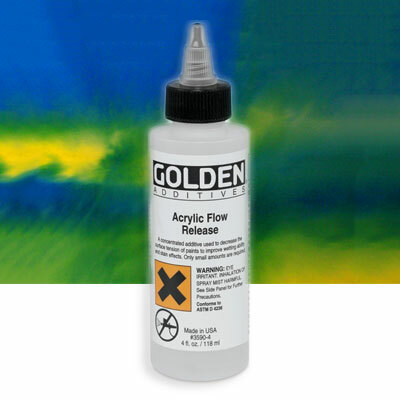 These gels can be used with Golden Acrylic colours to create a variety of interesting textures and effects. Clear Granular Gel is made with granular acrylic solids and has excellent clarity and durability with a coarse texture that dries translucent. Clear Granular Gel can extend paint and add texture without altering color. 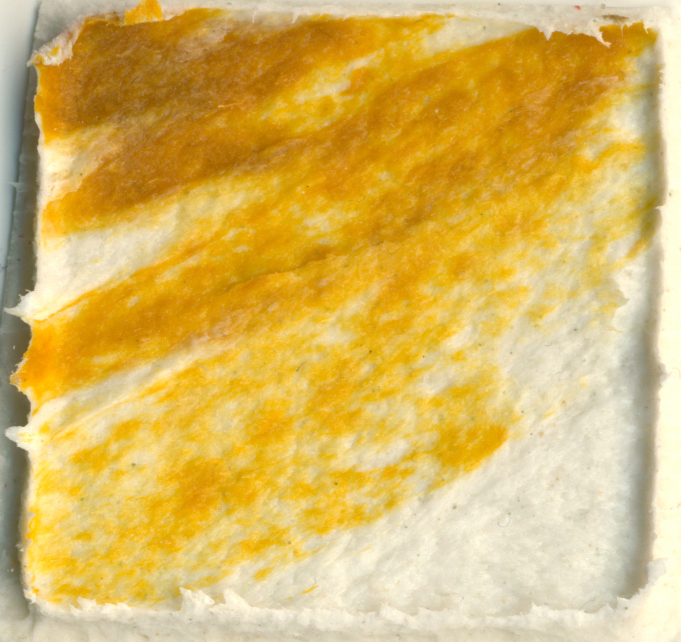 Available in this range are Fiber and Crackle pastes. These clear gels have a unique resinous, stringy consistency and produce an even film with excellent clarity. Their consistency makes them feel very different to other acrylic gels and they can produce unique effects. The formula for the slow drying acrylic glazing liquid allows sufficient working time for a wide variety of glazes and faux finishes normally accomplished with oils. 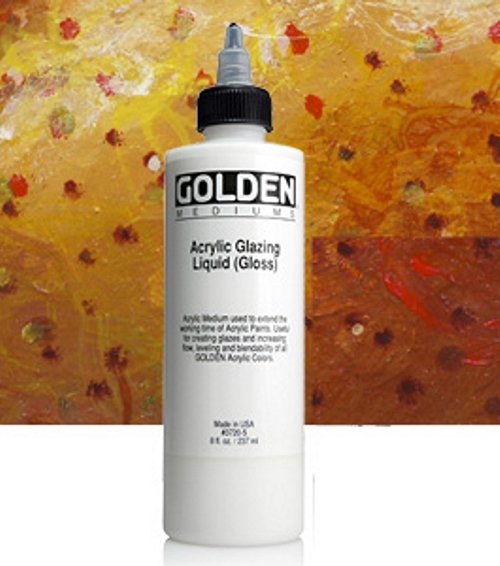 GAC (short for Golden Artist Colors) Specialty Acrylic Polymers are based on 100% acrylic polymer emulsions. The GACs are useful as mediums or modifiers of acrylic paints. GACs can be used to extend acrylic colors, to regulate transparency, create glazes, increase gloss, reduce viscosity or improve adhesion and film integrity. GAC polymers can also be used for binding pigment solids for various effects and surfaces. Unlike the other GOLDEN Mediums and Gels, GAC Acrylic Polymers have only a minimum amount of thickeners, levelers, defoamers and surfactants to ensure good film formation. 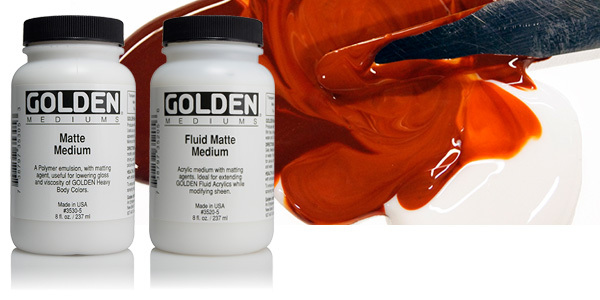 Golden fluid mediums allow the artist full control over transparency, viscosity and surface sheen of their acrylic colours. The range includes mediums which adapt the paint so it is useable with an airbrush, can be used for glazing or even for silkscreening. 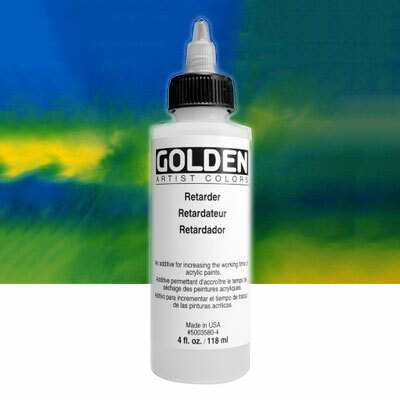 Other mediums in this range reduce the gloss of the paint while maintaining consistency and can even be used as a nearly clear ground on canvas instead of gesso. Additives allow the artist to control the paint's working properties.